Pep Guardiola has been impressed by Jadon Sancho at Borussia Dortmund but is unsure if the winger would have had a similar impact at Manchester City. Sancho opted against signing a new deal with the reigning Premier League champions and instead headed to the Bundesliga in August 2017 for a reported £8million fee. 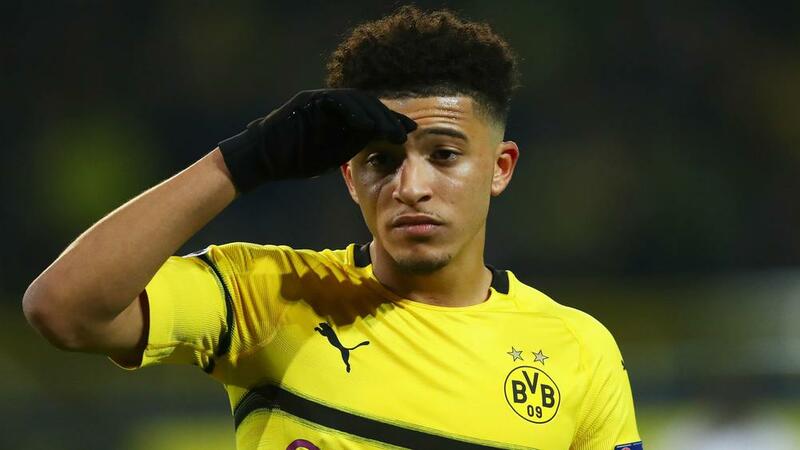 After making 12 league appearances in his debut season, the teenager has become a key component of Lucien Favre's side in 2018-19, helping Dortmund establish themselves as title contenders in Germany. His club form led to international recognition with England at the end of last year, rewarding his decision not to take the "challenge" of competing for first-team minutes at City, according to Guardiola. "I don't know. He didn't want to take this challenge, this opportunity to discover if he was able to," Guardiola told the media. "He decided to go there. So, it's perfect. It's going well and congratulations on what he is doing. "He is doing an incredible performance. He did it incredibly well this season. What would have happened this season [at City]? I don't know. "Again, with the players, it depends on them and what they do on the pitch." While Sancho decided to move on, fellow youngster Phil Foden remains at the Etihad Stadium and has enjoyed a greater role this season. Foden scored his first Champions League goal in the 7-0 thrashing of Schalke in midweek but Guardiola is keen to temper expectations surrounding the 18-year-old, particularly with suggestions he could be elevated into the England fold in the near future. "That's maybe a good decision," Guardiola replied when asked about Foden not playing for England at Euro 2020. "Don't make them play a lot of minutes. If they play a lot of minutes, everyone is going to be demanding they play for the national team. "Of course, he can play more minutes, but he could play less. We cannot forget he is 18 years old and it's the first season he's played incredible minutes in the first team. "He's played in the EFL Cup semi-finals, in competitions where normally you can't take a risk. He played Premier League when there were still a lot of games. He played important games. He played the Community Shield. So, he's played a lot of minutes and he'll play more in the future. "The process has to be calm. How many young players go immediately to the international team and after that disappear from the map? We want him to stay 10 seasons or 11 or 12 with us, playing regularly, and every season he will be stronger and stronger. "He's an incredible talent but he still has a lot of things to improve. It's simple for his age. At his age he needs time to grow and to be created. He's 18 years old. It's important he knows he is able to play with us and he knows we can trust him. That is the most important thing."